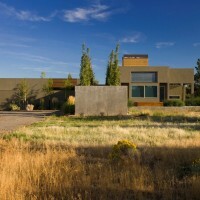 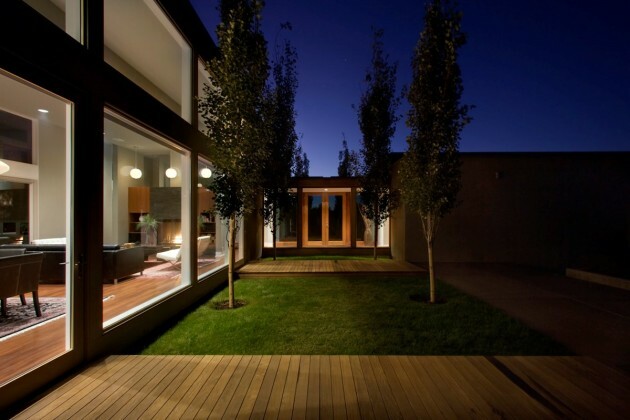 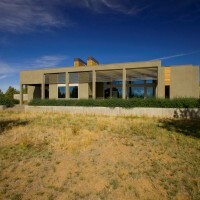 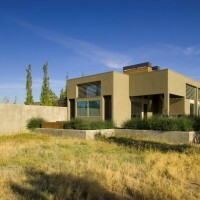 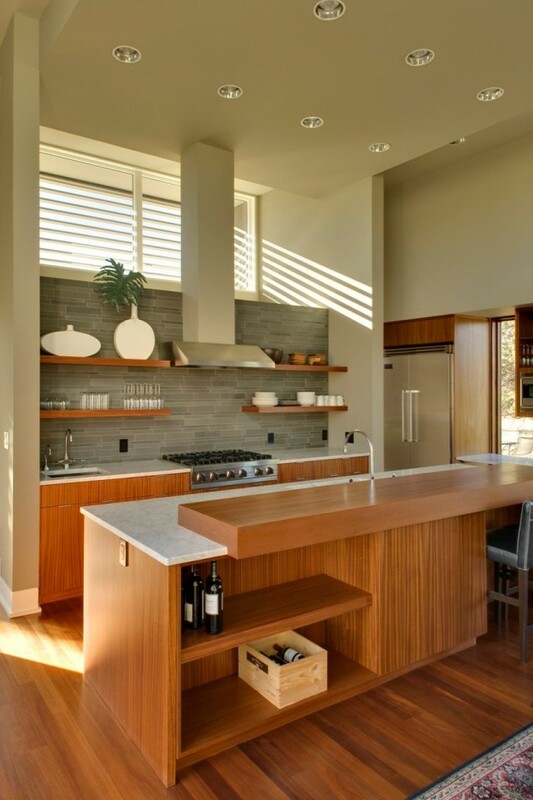 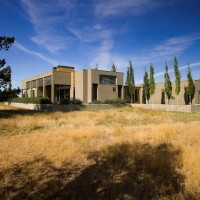 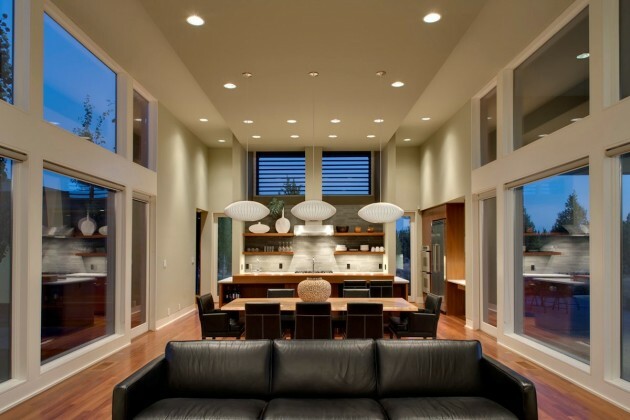 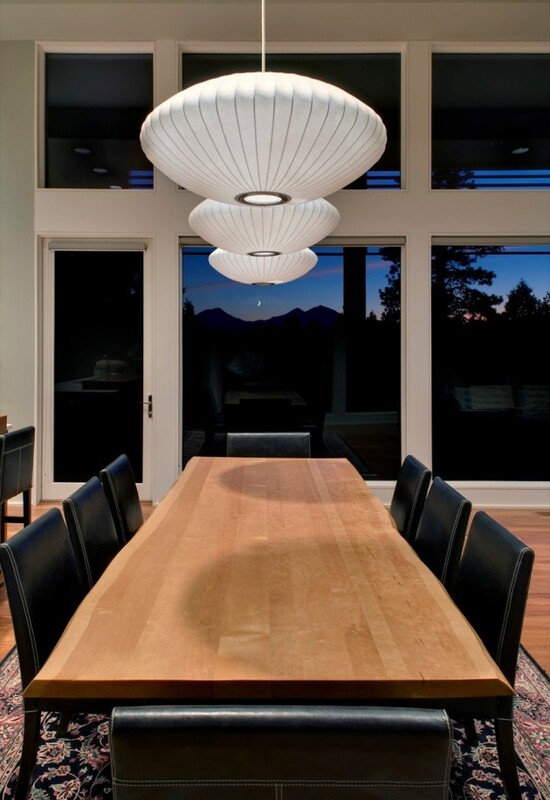 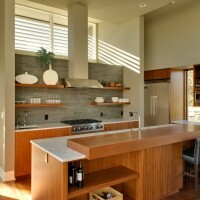 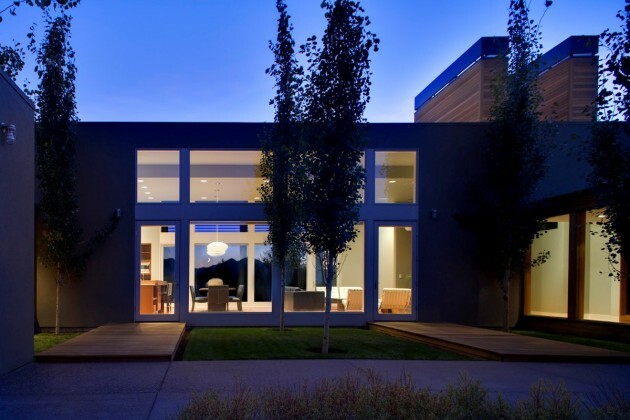 TVA Architects have designed a home in the town of Sisters, Oregon. 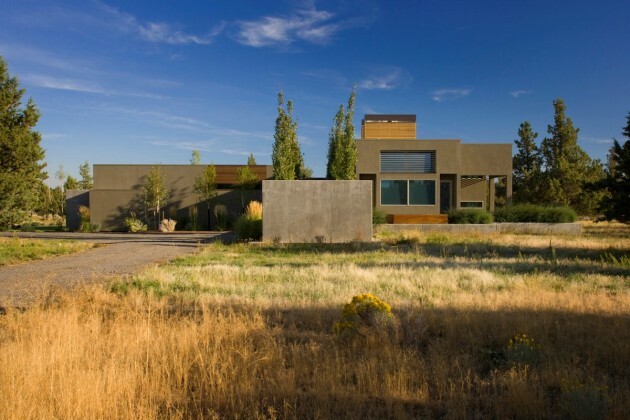 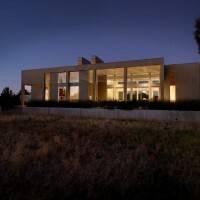 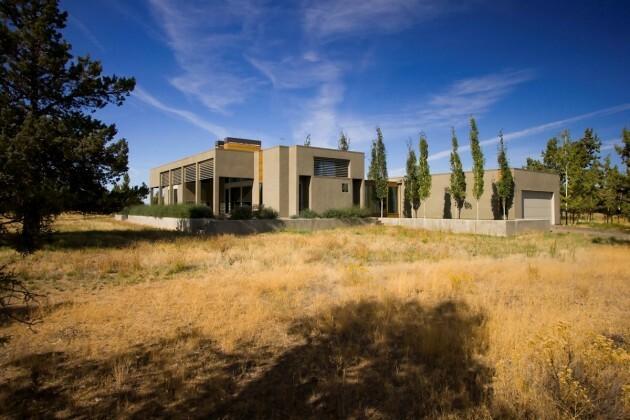 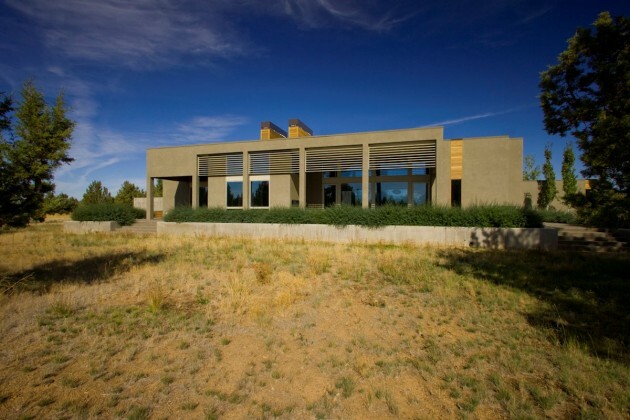 Located on a 40-acre parcel of agricultural land in arid Central Oregon, the Frankel home is oriented to capture the magnificent views of the Three Sisters Mountains to the west and Mount Jefferson to the north. 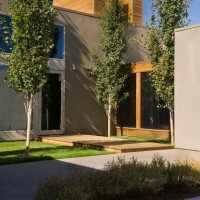 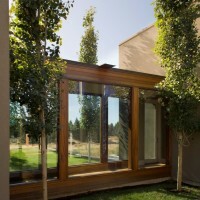 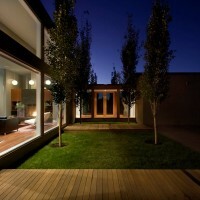 The home sits on a constructed plinth, 30-inches above the existing ground plane and is organized around sheltered patios and outdoor living spaces. 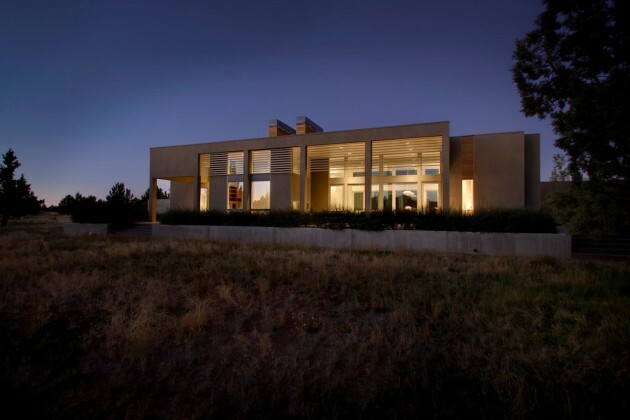 Two fireplace chimneys soar above the horizontal composition and provide a visiual landmark from afar, and the stucco-clad pavilions that make up the composition are tied together with glazed passageways. 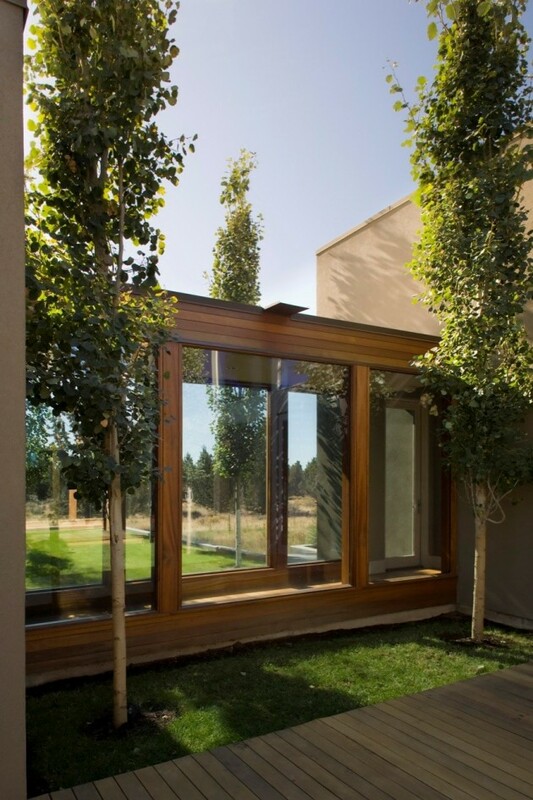 A double allee of Swedish Aspen runs the length of the major landscape element and ties the composition together.